It is important you are prepared to finish YOUR door once it is fitted & we are gone...here's some advice for external wood doors if wood staining or varnishing. Apply a first base coat IN & OUT, TOP & BOTTOM, ALL EDGES ,ALL BARE WOOD, allow to dry. Rub down with sand paper till smooth and dust off. Repeat for 3 more coats. Avoid quick drying products as the tend to just sit on the surface.You need a product to soak in, by just doing the front you are not sealing door as the product soaks in from outside AND from the inside creating a barrier.If you just do front its not enough and door will expand and rot , think of the wood as like a sponge soaking in from all angles and the wood stain being the sealant.We are quite happy to give advice but we offer no guarantee on a wooden door as it is down to the individual to finish the door...it's not difficult , just have to put in the time. 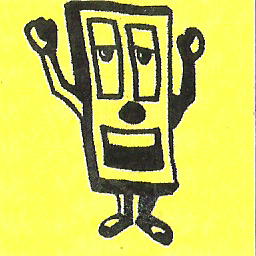 On the right is the basics of what you will need to do YOUR door. 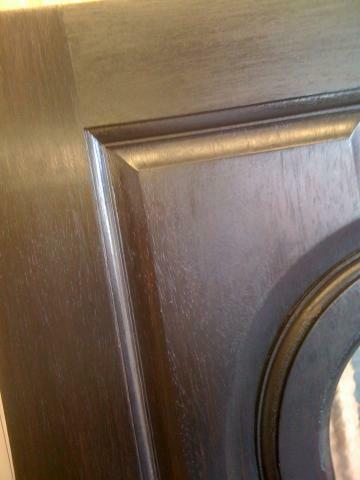 A quality wood stain not quick drying. Usually a 750ml tin would do for 4 coats depending on the design. Wood filler for any cut outs etc. Most important..your time & effort. 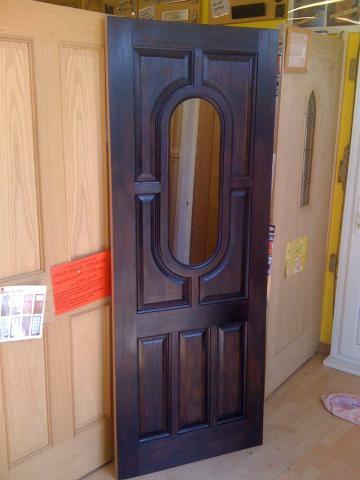 Below is two doors which have been treated with Ronseal Ebony. We do not offer a finishing service.